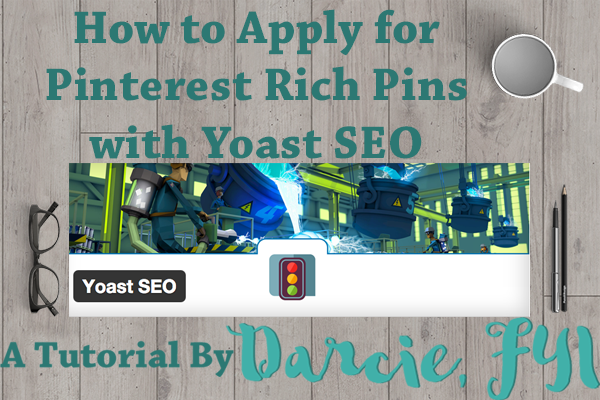 On Tuesday, I showed you how to confirm your WordPress website on Pinterest using Yoast SEO. Bonus post today? 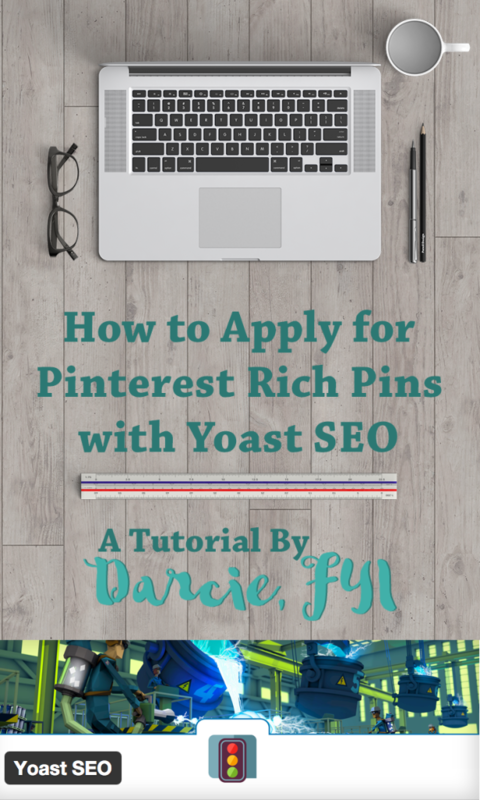 Apply for Pinterest Rich Pins with Yoast SEO! What are Rich Pins? 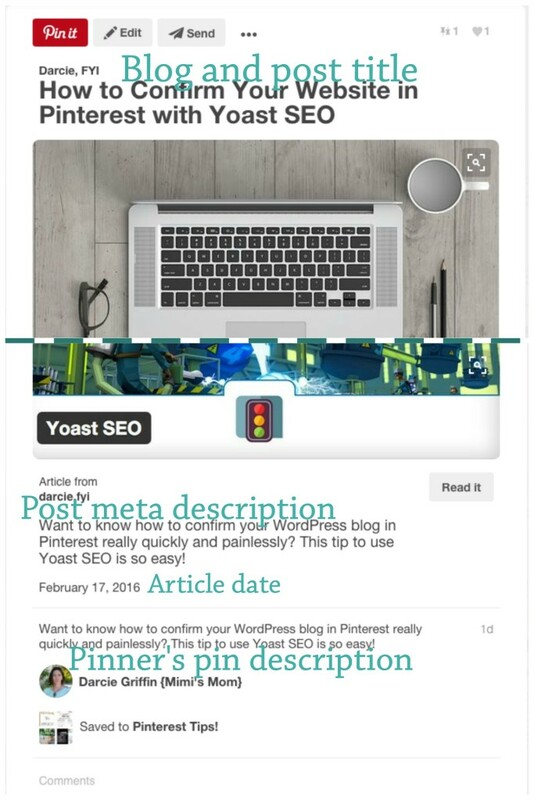 These are the feature that adds your blog post title and description plus your favicon to each pin from your site. 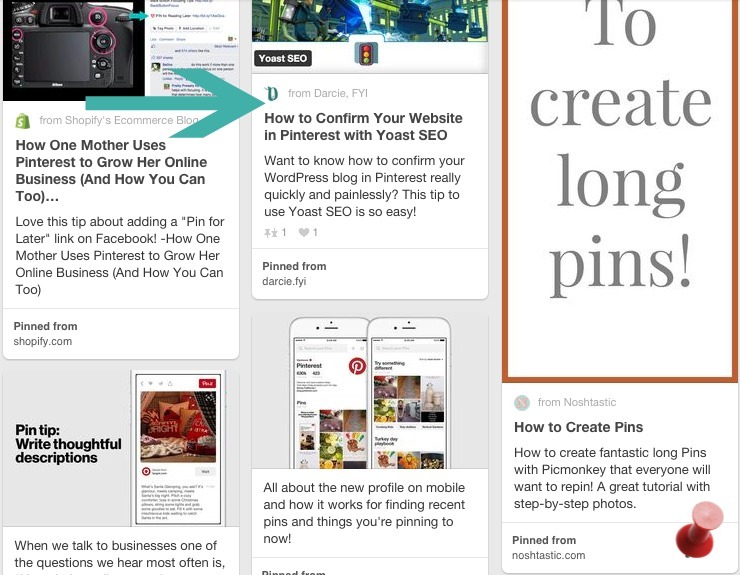 It doesn’t matter if you pin it or anyone else does, this gets added to let pinners know a little bit more about the post. Rich Pins have been shown to have a better click through rate than those without this formatting, so it helps drive readers to your blog. 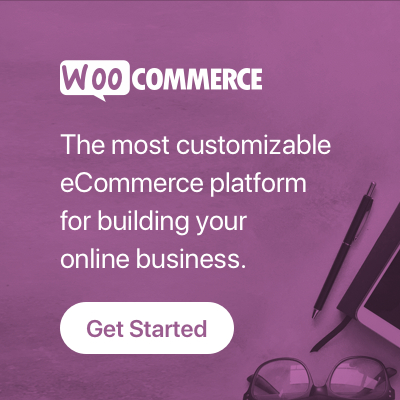 This is a totally free feature, and if you have Yoast SEO installed, you really just need to apply. What do you need to do? As a pre-step, be sure you have a custom site icon already installed. This is that tiny logo that will appear in browser bars and on Rich Pins. You can learn how to do that on this page. On my theme, it’s called Site Icon instead of Site Identity, and you can easily customize this in WordPress versions from 4.3 on. Not on 4.3 or a compatible theme? Time to update for security. But that’s another post! Step one: Go to your WordPress dashboard, click SEO > Social > Facebook tab. Be sure that the Open Graph meta data box is checked. Step two: Head to the validator and paste a link from any single blog post, then validate! A single blog post should be like http://yoursite.com/my-great-blog-post/ or http://yoursite.com/2016/02/my-great-blog-post/, but not the main page of your site or a category. Step three: When the validator returns a positive result, click Apply. Don’t change anything in the domain box or those little radio selection buttons below. Just apply. That’s it! You’ll get a message that you’ll get an email soon after regarding the approval of these. 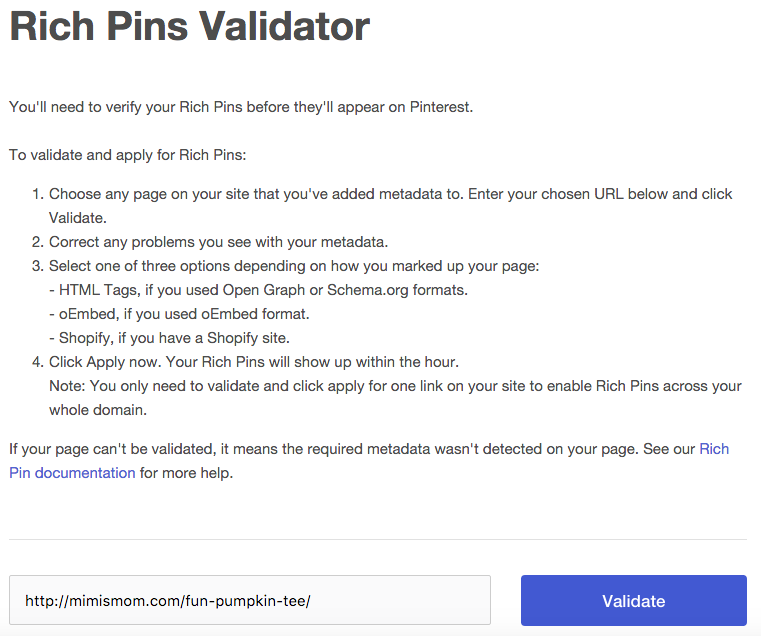 Any pin from your website will have this formatting added to them to tell pinners a little bit more about your post or product before they even click through to your site. Here’s what they look like in the grid with other pins and expanded. Bonus: Ever need to change anything on a blog post, and Pinterest Rich Pins are still pulling the old post title or description? Enter that link from your site into the validator again. You’ll get a message like this, and just need to click that Fetch button to refresh the previously saved data. Easy! Did you apply using this tutorial? Let me know in the comments!